Halloween often means too much sugar and enough orange and black to last a lifetime, but it can also mean deliciously simple caramel corn. 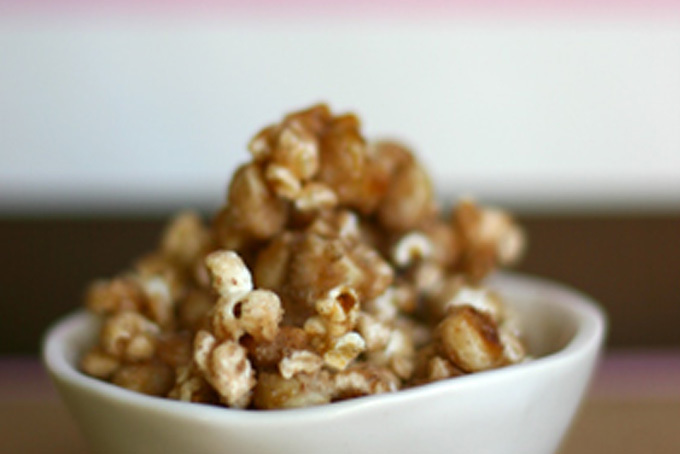 This Pepita Honey Caramel Corn is sticky and sweet, with a nice hint of smokiness from the mezcal. It’s perfect for your grown-up Halloween parties, or just a treat while curled up watching movies. • Heat oil with 3 kernels in a 3-quart heavy saucepan, covered, over moderate heat until 1 or 2 kernels pop. Remove lid and quickly add remaining kernels, then cook, covered, shaking pan frequently, until kernels stop popping, about 3 minutes. Remove from heat and uncover. • Line bottom of a large shallow baking pan with foil. Lightly oil foil. Melt butter in a 6-quart heavy pot over moderate heat. Add brown sugar and honey and bring to a boil over moderate heat, stirring, then boil, without stirring, until syrup registers 300ºF on thermometer, 8 to 10 minutes. Remove pot from heat. • Using a wooden spoon or a heatproof spatula, stir salt, mezcal and baking soda into syrup, then quickly stir in pepitas and popcorn to coat. Immediately spread mixture in baking pan as thinly and evenly as possible. Cool completely, then break into bite-size pieces. For a western town, Boulder has had a surprisingly limited selection of Mexican restaurants. Sure, there’s Agave and Efrain’s. But where can you grab the Mexican street food (tortas, tacos, and tamarind soda) that have captivated the rest of the nation? Up until a couple of months ago, we shrugged in response. But now, thanks to the opening of two new restaurants, you have a choice of two tasty options: Pica’s Mexican Taqueria or Restaurante 100% Mexicano. Pica’s dishes up a variety of street food flavors—and Restaurante 100% Mexicano the authenticity. 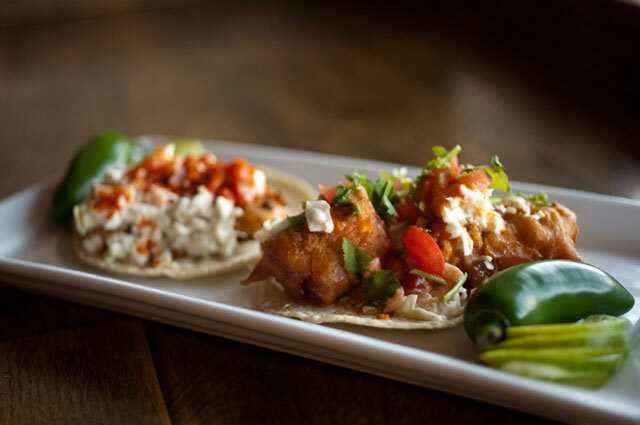 In Pica’s bright, causal, Baja-style dining, try warm corn tortilla tacos of carne asada or fish (pictured here) with a Jarritos taramind soda. Or try chilaquiles, fried corn tortillas smothered in red sauce. At Restaurante 100% Mexicano, order a cantelope agua fresco, red chile and pork tamales, and a slice of creamy tres leches cake. Last week, Kazia spoke on behalf of the SRG Culinary Practice at Expo East, the East coast natural foods tradeshow. She sat on a panel about emerging ethnic flavors and talked up the taste and ingredients of India, Latin America, and the Mediterranean. Then, Kazia hit the tradeshow floor—only to find that several new business are already embracing authentic foreign flavors. 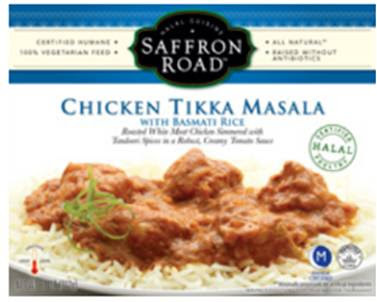 Saffron Road Founded by a form er exec of Terra Chips and Alexia foods, this Connecticut-based start up offers a line of frozen Indian foods (chicken tikka masala, lamb saag). But what makes it unique are its meats, which are are halal (as well as hormone and antibiotic free) so that Muslims can eat them. 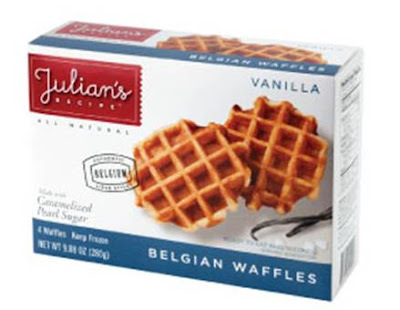 Julian’s Recipe Culinarily Belg ium is known for its frites (French fries), beers, and waffles—and it’s the last that another ex-exec of Terra Chips and Alexia foods has decided to bring to U.S. freezers. The sweet, golden pastries are authentic down to their sugar nibs (crunchy bits of sugar baked into the waffle). TIAS! 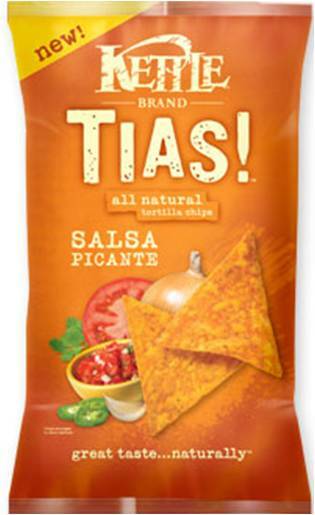 Kettle Chips has decided to embrace Latin American flavor and launch its own line of tortilla chips. Called TIAS!, which means AUNTS! in English, the brand adds an element of fun to recipes that your tia would make. 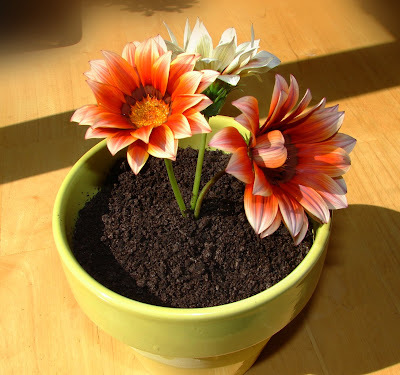 Who knew that my 7th birthday celebration – a flower party, with dirt cake, would be cutting edge? Edible dirt, one of the most interesting new fads in haute cuisine, is now showing up on menus throughout the world. And thankfully chefs are getting a lot more interesting then my birthday cake that was simply made from crushed Oreos and whip cream. They’re making dirt from dried or charred ingredients, like malt, mushrooms, onions or olives. Although the “dirt” varies in consistency and ingredients it all has one purpose, to redefine sides. And why dirt? What better way to celebrate where our fruits and vegetables come from then by having land right on the plate. Find out more about edible dirt in this recent article in TIME Magazine.